You can use an external simulation control file to override the controls in FileX. 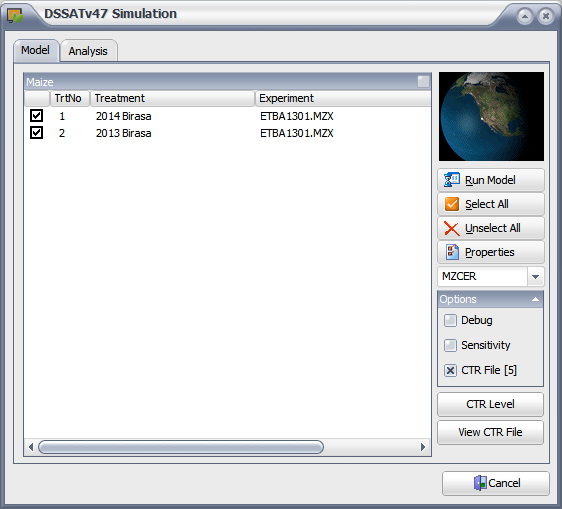 The DSSAT user interface can be used to select the external simulation control file option. Users can also select the pre-configured control arguments to use. This option is found in the Simulation dialog box in the DSSAT user interface (see below). This download below contains a zip file with a sample external simulation control file (DSCSM047.CTR). You can edit the file directly to select the simulation control overrides that you want and to add new combinations of controls. An excerpt of the DSCSM047.CTR file is shown below. 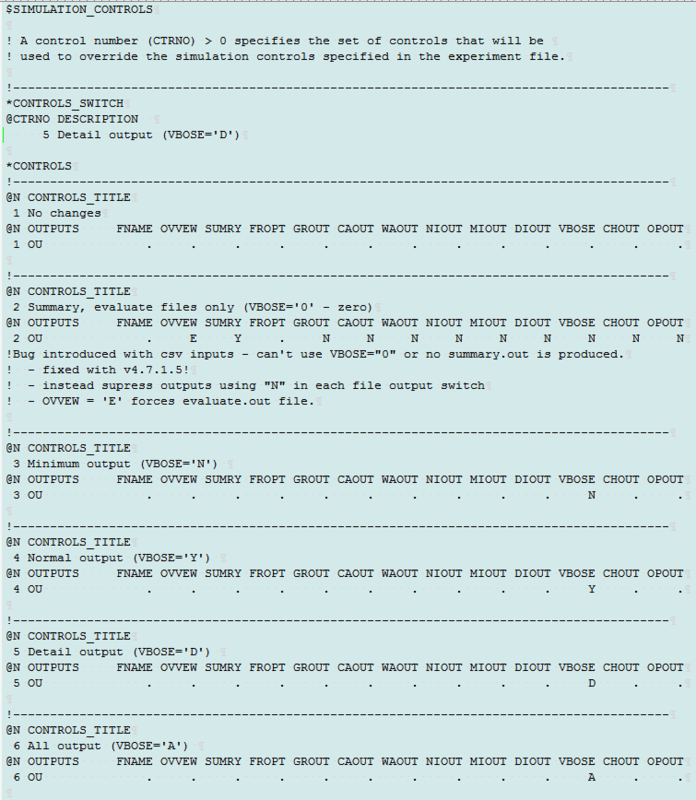 In this case, control option #4 was chosen, which forces detailed simulation output, i.e., sets switch VBOSE = “Y”. In the simulation controls section of the experiment file, all values of VBOSE are set to “Y”, all other values in the simulation controls are not changed.